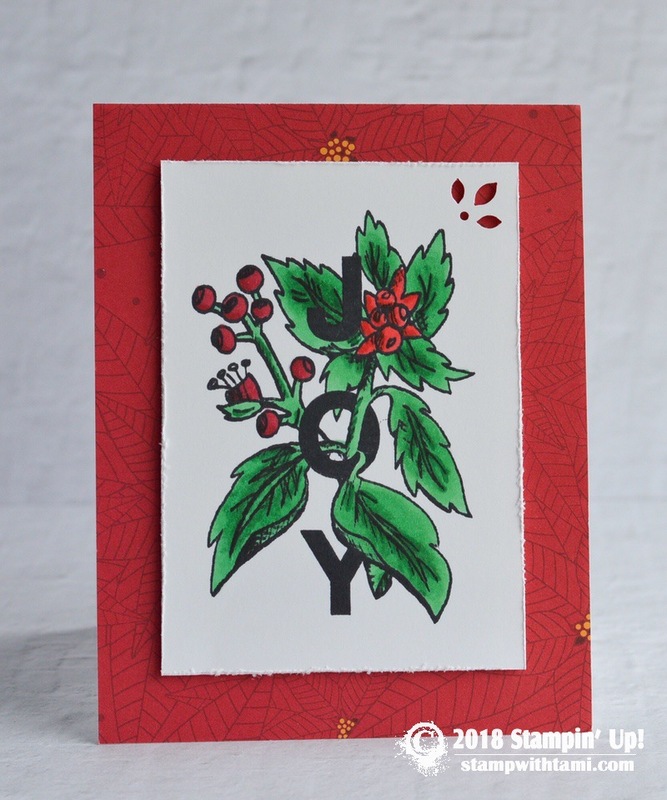 Beautiful Joy holiday card from the Stampin’ Up! Joy & Noel Stamp Set. Colored with Stampin Blends markers. The corner is punched with the Detailed Trio Punch. The background is the All is Bright Designer Paper.